Florida law provides you as a homeowner prior to a Foreclosure Sale of your property with a power known as the Right of Redemption. This allows you to recover your property and save it from Foreclosure Sale at any time before the filing of the certificate of sale by the clerk (right after Foreclosure Sale typically) by paying the entire amount of monies specified in your Judgement of Foreclosure. Click here to view Fla. Stat. 45.0315. Your agreement with the lender contained two important documents, a promissory note and a mortgage contract. The right to recover the total amount of the debt obligation is not automatically extinguished if your lender forecloses your property. Lets use an example: You purchased your home with a loan from your lender in the amount of $100,000.00 and fell behind on payments and got foreclosed upon. Your final judgment of foreclose lists the total amount due to the lender including fees as $90,000.00. 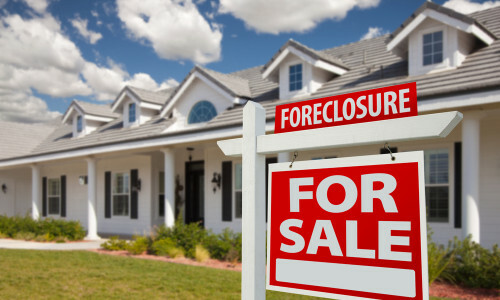 At the foreclosure sale, your property sells for only $50,000.00. The difference in what you owed, the $90,000.00 and what your property was sold for, $50,000.00 is $40,000.00. The $40,000.00 is known as your deficiency. Your lender has the right to pursue recovery against you in the amount of the $40,000.00 even though you also have lost the home. This right must be preserved by your lender within a certain time frame and can then be recoverable for as long as 20 years. The recovery of a deficiency judgment works through the same mechanisms that control all debt repayment in Florida. You may be subject to wage garnishment, asset levy etc. . . An experienced foreclosure defense attorney can help you avoid a deficiency be negotiating a waiver along with your other potential foreclosure solutions. Assuming you have either lost the Final Summary Judgment of Foreclosure hearing or a Foreclosure Trial, your home will be set for a Foreclosure Sale. This process, which typically involves an online auction will set a date in the future for which your home will be sold to the highest bidder. You lender may also bid on the property and take possession of it if the institution is not outbid or the price doesn’t reflect the fair-market value of the property. If your lending institution retakes the property, it becomes Real Estate Owned (commonly REO property). There are many REO properties in Florida. Many homeowners in foreclosure end up filing bankruptcy close to or right before the sale of their property. When you file a Chapter 13 or Chapter 7 bankruptcy, the court automatically issues an order which is known as the “automatic stay.” This is a very powerful tool because it prevents your creditors (including your lender) to cease their collection activity immediately. That also includes the foreclosure sale process. Filing an automatic stay can prevent the foreclosure process for several months. Depending on the bankruptcy filing you may be able to use the time and strip second mortgages or even work out a payment plan to avoid the foreclosure altogether. Can my Foreclosure Sale be Cancelled or Rescheduled? The short answer is yes, however the circumstances that give rise to a cancellation of a foreclosure sale are rare. Florida Rule of Civil Procedure 1.540 allows for a relief from judgment under certain limited circumstances including fraud. If you have discovered fraud during the foreclosure process you may be entitled to motion the Court to have your judgment vacated in light of new evidence and move for an evidentiary hearing. If that is the scenario in your matter contact an attorney immediately to review your case.